Registration Process is not regular Process. The Servers of NGODaarpan.Gov.In are not in regualr working condition. It is not sure upto when it will work fine. Operational area of Society: State and District wise names of thee areas in which NGO is working. Achievements – Detail information of the of achievements of NGO from the Programmes and activities performed. Copies of Certificates like 80 G, 12 AA and other Certificates if NGO has any of them. Some other information is also required. NGO Partnership is a free facility provided by Government of India at the planning Commission of India (NITI Ayog) to bring about partnership between Government and the voluntary sector Non (Governmental Organizations) and foster better transparency, efficiency and accountability. • To get details of existing VOs/NGOs across India. • To get details of grant schemes of key Ministries/Departments of Government of India. 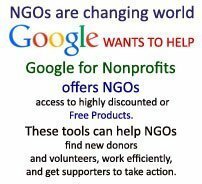 • NGO can apply online for NGO grants of Government of India. As it is compulsory to have registration with NGO Partnership to get approval for grants from any Government Ministry or Government Department. 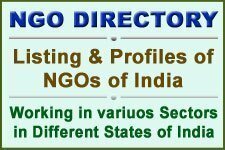 • NGO management can track status of application of NGO for grants from Ministries/Departments of Government of India. .It must be clear that if any NGO is registered at NGO Partnership that does not imply that NGO is endorsed or recommended by NITI Aayog or by the concerned Ministries or Departments or Government Bodies. This registration is only for getting funding from Government Ministries and Departments, as it is necessary for that process. And all the registered NGOs at NGO Partnership will surely not get funds, only the selected NGOs can get grants; and it is upto the authorities of concerned Ministries or Departments or Government Bodies who section the grant..